This is indeed Lossy, you cannot convert it back to original anymore, simply because the data is gone. And that is what MQA is doing. I think the correct word to use is ‘processed’ rather than lossy. 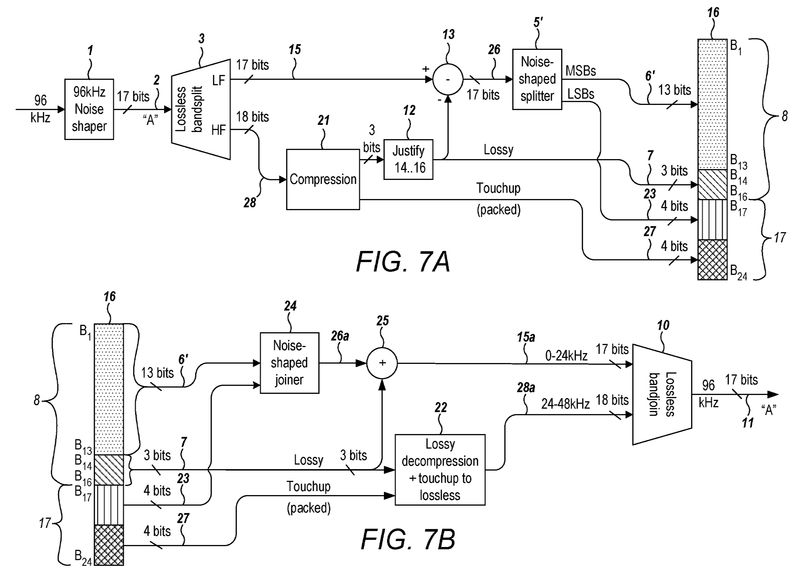 MP3 is lossy because it uses psychoacoustics compression. MQA ‘limit’ the amount of information above 16 bit in the audio range while assigning 8 bit of information above the audio range. MQA is actually a partially lossless system. The unfolding is not bit perfect but an approximation. Think of passing a PCM to a DSP engine such as sampler and room correction; the end result is no longer bit perfect but in term of musicality, it correct certain shortcomings. Well, given that we already agree that “ If the original is not hires, it will never be hires by MQA ”, and that you believe what MQA Ltd. and Bob Stuart have been telling you about authentication, how would you feel about Bob Stuart if I sold you an officially released, 24 bit, 192khz MQA-authenticated , recording of Like a Virgin ? That one is yours. But digitally editing all the tracks of a song is called a “remaster”, so they should say “remastered” and they don’t…? Totally “a different kind of lossy” than .mp3 is, but let’s not get too carried away with details here. Lossy, lossless, the basics for right now, and let’s build from there once the vocabulary is acquired. Yes, but how exactly is it doing this? By “limit” are you saying it is just a reduction in bit depth (which begs questions of course) - a decimation? If so, how do you know this? Bob himself uses the language of psychoacoustic processing, so without signing an NDA how do we know fer sur? In any case I don’t believe it matters, you can’t A => A’ => A so it MQA is indeed lossy. MQA is actually a partially lossless system. MQA core retrieve all the musical details at 88.2/96kHz. The renderer which ’ unfold’ further to 176.4/192kHz is actually up-sampling with final MQA filter to correct some timing issues to match the physical end of a DAC chip. MQA authenticated at 192kHz is not the same to FLAC 192kHz when it comes to signal retrieval. The later may contain information above the 48kHz (192k sample). MQA core retrieve all the musical details at 88.2/96kHz. Just a minor correction: between 44.1/48 & 88.2/96 MQA is lossy. Above 96 there is no signal at all - it’s just a play on words - it’s simply upsampling (which unless you have an exotic NOS and/or vintage DAC, was going to happen anyways). As far as 16 bit is concerned, I believe MQA is likely meet the ‘lossless’ category even though it is no longer bit perfect. The reminder 8 bit to code above the audio range is lossy and a coarse approximation. The reproduction of ultrasounds is more on timing rather than details information. The coding information embedded under the noise floor is used for unfolding; unfold 44.1/48kHz to 88.2/96kHz (MQA core). This process is based on approximation, it is not bit perfect either. MQA is only good for sample equal or not greater than 88.2/96kHz. Anything above is a total stop band. Again the process is based on approximation, it is not bit perfect. It is indeed a bit reduction from 24 down to 16 bit and according to him, 16 bit is more than enough to reproduce the required dynamic range in the audio range (CD). He also said we need the ultrasounds range to reproduce the precise timings. I think he had an diagram that showed how much it can encode the ultrasounds range… and it is around 48kHz (based on 96kHz sample). After some noise shaping the result is 17 bit 96kHz (MQA core output). The diagram showed bit and sample splitting (encoder, 7A) and bit and sample stacking (decoder, 7B). There’s no evidence of psychoacoustic compression in the first 16 bit. The rest of bits are used as lossy approximation to re-construct the ultrasounds to 48kHz. The terms/definitions ‘lossy’ and ‘lossless’ are unambiguous. ‘Lossy’ means that information is irretrievably lost from the original data-stream/file, as part of a processing/compression process. ‘Partial lossy’ is just BS. And so is MQA. MQA is ‘lossy’. No debate. Thanks, these are answers that will help us understand things. 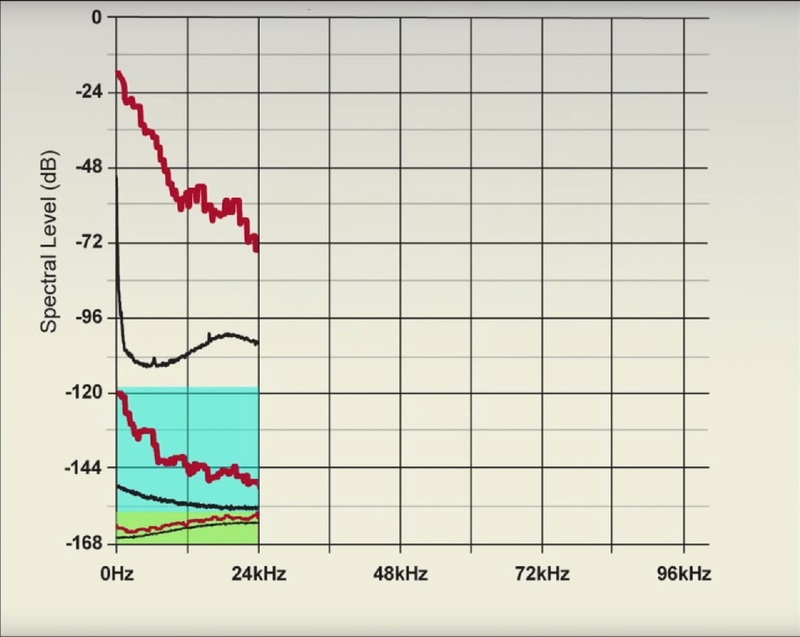 Say for example, if you pass a PCM to a DSP, either it is for upsampling from 48kHz to 192kHz or simply doing some room correction, this is considered an ‘enhancement’ rather than ‘lossy’ since the information is changed and no longer bit perfect from the original data as part of DSP process. Does this mean we are losing information? The answer is No! MQA is lossless for the first ‘16 bit’, this where all details information is fully captured in the audio range, this is similar to the CD standard, if you argue that CD is indeed lossy? Now the next 8 bit is used to code information in the ultrasonic range up to 48kHz. There’s very little details, sonically above that range and mostly are timing information. 8 bit was chosen to give some information retrieval without increasing the overall bandwidth. MQA is just like another DSP and If you view that way, the course is not bad after. MP3 is based psychoacoustic principles; it throw away information based on our limit of hearings but in most case not everyone will hear the same way and this is problematic. 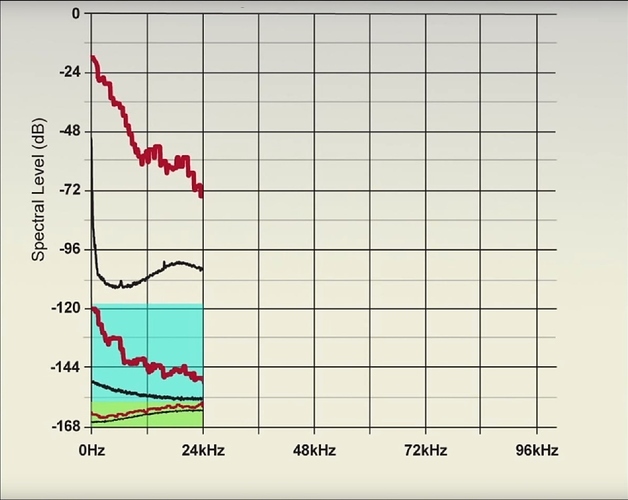 Say for example, if you pass a PCM to a DSP, either it is for upsampling from 48kHz to 192kHz or simply doing some room correction, this is considered an ‘enhancement’ rather than ‘lossy’ since the information is change and no longer bit perfect from the original data as part of DSP process. Does this mean we are losing information? The answer is No! To make your analogy maybe more relevant, if I took an EAC verified FLAC file, convolved it to sound good in my car, and then gave it to you, still a FLAC, to play on your home system, would you consider it “enhanced” or “lossy” in the definition that @Martin_Kelly used ?